Leaked via the US retail chain Target, a sequel to the Shadow Of Mordor game has been discovered. 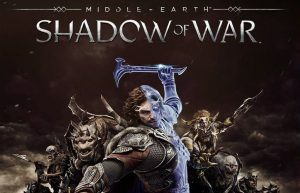 Tittle “Shadows Of War” had a description that more or less tells that this game will be a lot like the first: Talion and Celebrimbor will take on Mordor again. As is the fact that the “Nemesis” system will return. Not only that, but a ‘gold’ edition has also leaked. It contains two story expansions, new playable character, abilities, side missions and more. Also, there will be two ‘nemesis’ expansions included in the gold edition, which contains a new orc tribe, fortress, and other things. On PS4 and Xbox One, the base game will set you back $60, while the gold edition will retail for $100. No word on a PC version, but its almost 100% certain that there will be one, especially since the first one did. The Target post reads that game is set to release on 22 August. As of writing this post, the original target post has been deleted.